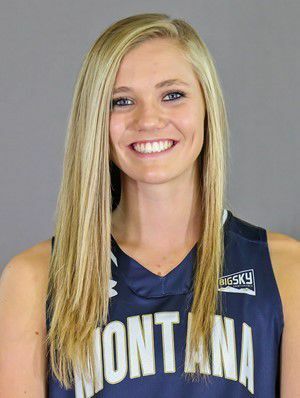 Coach Tricia Binford and Montana State have won six of their past eight matchups with rival Montana. On one hand, the Bobcats are looking to beat the Lady Griz for the seventh time in nine tries and secure their second regular-season sweep of UM in a three-year stretch. On another, MSU is trying to win back-to-back games for the first time since its opening Big Sky Conference homestand, during which it prevailed in consecutive outings vs. Southern Utah and Northern Arizona. Most important, though, is the potential to take another step toward securing a first-round bye for the league tournament. And that possibility hinges greatly on Saturday’s tilt: The Bobcats (13-12, 8-7 Big Sky) currently sit at No. 5 in the conference standings with a slim lead over No. 6 Montana (12-11, 7-7). The top five teams will receive byes to the tournament when it convenes March 11 at CenturyLink Arena in Boise, Idaho. It goes without saying that the Cats and Lady Griz are fighting for the same thing. The feeling is mutual between the coach and her players. “I think it’s always in the back of our minds, trying to get the bye,” freshman guard Kamden Hilborn said. “Something we’ve been saying is ‘win out. We need to win out.’ But I think that added pressure makes us play more stressed. To get a bye, the Bobcats must continue to adapt to life without Claire Lundberg, their leading scorer and most productive senior. The 6-foot-1 Lundberg, a transfer from Seton Hall, blew out her knee during a home loss to Northern Colorado on Feb. 4. She was averaging 17 points per game at the time. MSU is 2-2 in games without Lundberg. Last week it dropped a home contest to Idaho State but rolled over last-place Weber State two days later. Of late, the Bobcats have leaned more heavily on their posts. The 6-2 tandem of Madeline Smith and Blaire Braxton averaged 20.3 points and 11.5 rebounds between them in Lunberg’s absence. The Smith/Braxton post presence combined for 24 points and 10 rebounds in MSU’s 74-52 home victory over Montana on Feb. 2 (which complemented a 20-point, nine-assist, five-rebound performance by point guard Oliana Squires). Will be it be as productive against Montana this time around? “Especially with Claire out of the mix, I think (we) have to rely on it even more,” Binford said. “It’s been something since the beginning of the season that’s obviously been a big part of our identity — the ability to go through the post and also get to the foul line. Saturday’s game tips off at 2 p.m. It will be the 107th all-time meeting between the rivals. It will be broadcast statewide on SWX Montana stations. After that, there are four conference games remaining on the Bobcats’ schedule, including a road swing through Northern Arizona and Southern Utah before a final homestand versus Portland State and Sacramento State. But there's no looking ahead for MSU, not with what's up for grabs. “The atmosphere is going to be a little different for us. Dahlberg’s a hard place to play,” Hilborn said. “We’re expecting some adversity with that. Obviously with us losing Claire, that’s going to be a change. We’ll have to adapt to that.